Pinecraft Park is about three miles from downtown Sarasota. Maybe half of its 22 acres are in things like a parking lot, shuffle boards, and a basketball court. That doesn’t leave much for nature, but I’m always surprised to see how much nature is there. 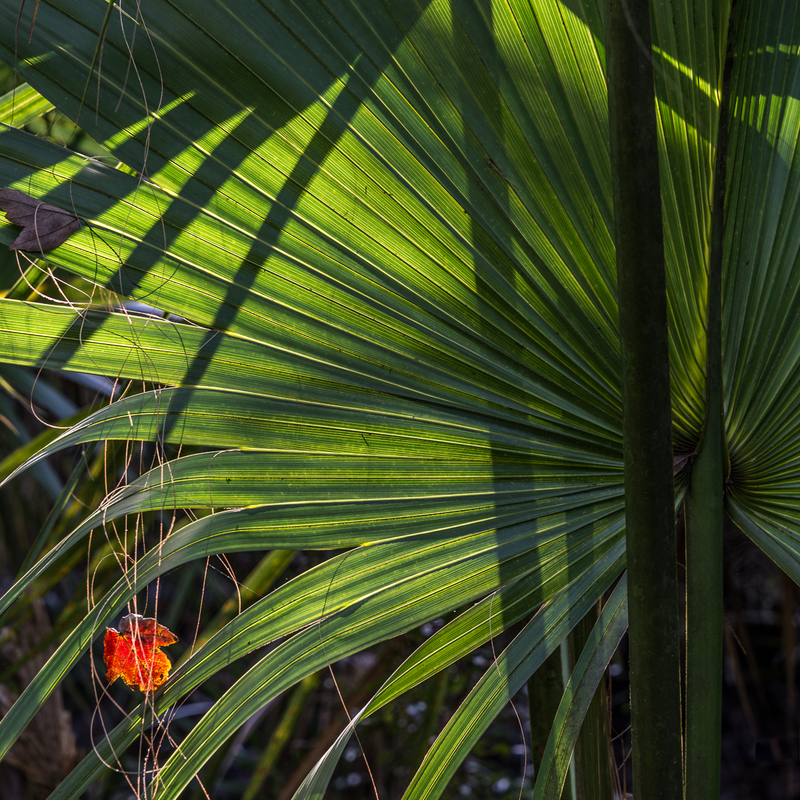 I must have seen the sun shoot through palmetto leaves like this a hundred times or more, yet every year I can’t resist just one more photograph of them. And then one more and one more and one more. Here’s the first one of the year. I grew up in the northern U.S. knowing palm trees only by postcards and cartoons. They were always depicted in idealized shapes with no messy aspects. 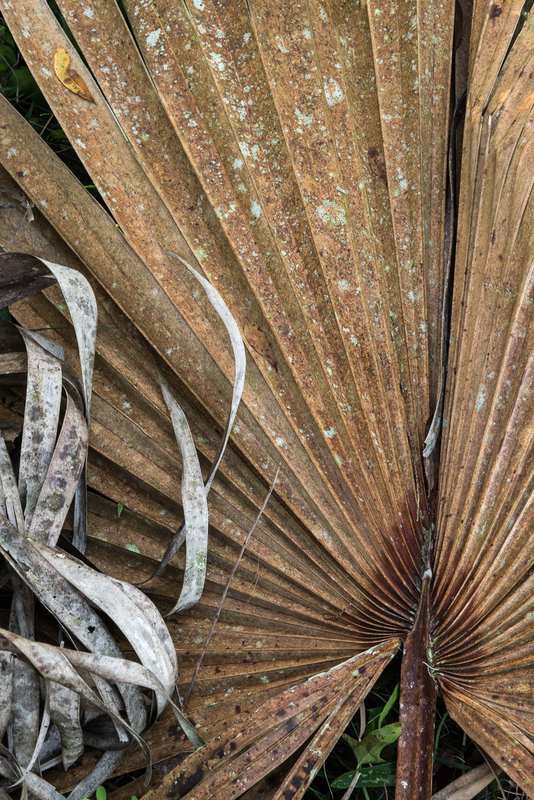 Although I’ve now spent more than a decade seeing palm trees in the raw, it still amuses me to see that they are not all ideal in shape and can be quite messy. 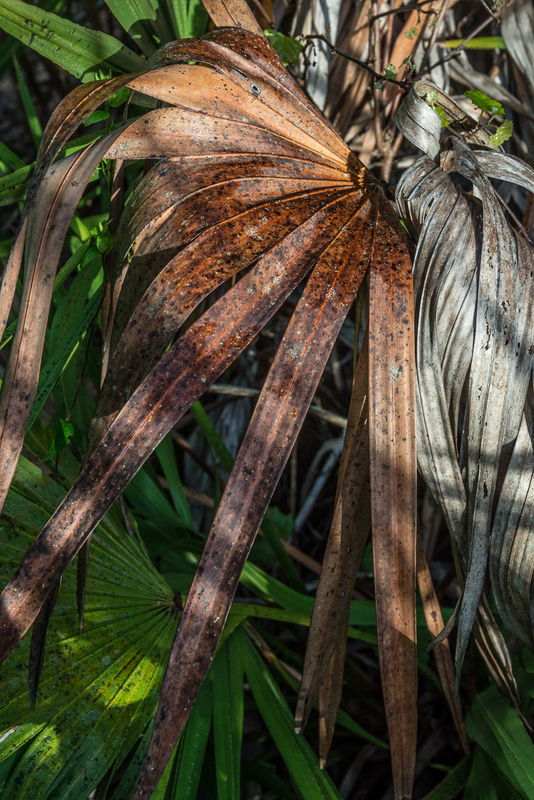 The lower fronds turn brown and fall off. If they are near streets, the spent fronds and leaf bases can clutter the roadway. Northerners—at least I—never imagine this. I wonder what other preconceptions I unwittingly hold. My troublesome external hard drive has behaved for two and a half weeks, 10 days connected to my husband’s laptop and seven days to my iMac. I’m not sure why it has stopped self-ejecting, but I took the opportunity of its good behavior Friday night to download photographs I’d been saving in my camera. 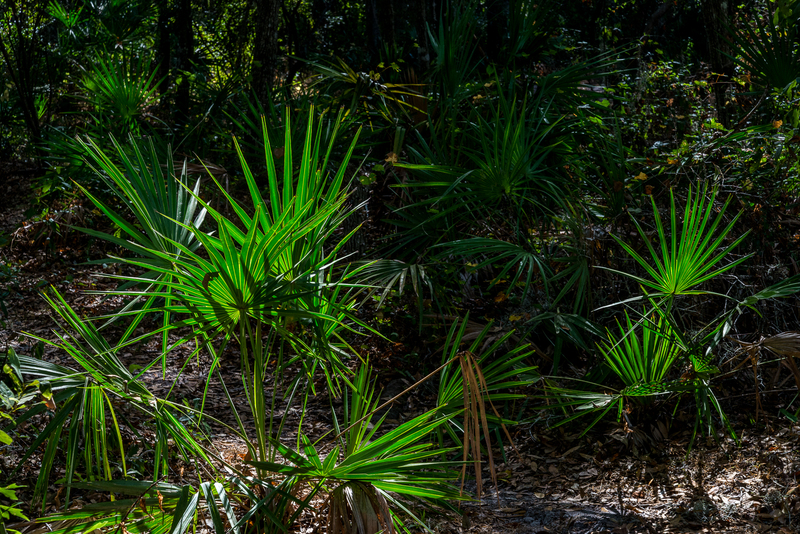 This short series is from our December 27 trip to the Venice Myakka River Park, a smallish urban-like tract adjoining the Myakka River State Park. What is has to recommend it is a lovely little lagoon. 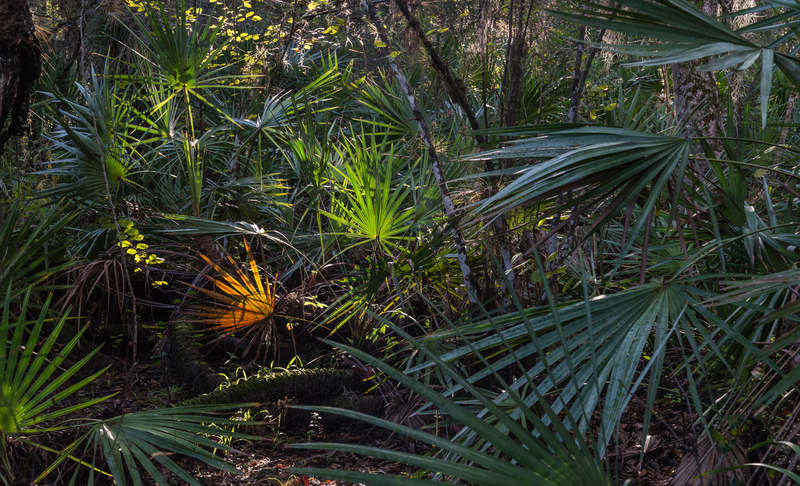 Surrounding the lagoon—as almost everywhere you go in this part of Florida—are sabal palms and saw palmettos. 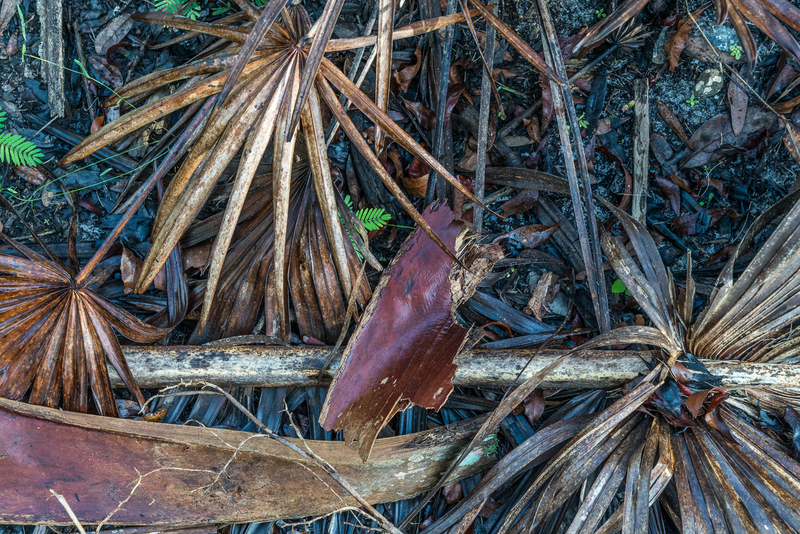 These are some of the fallen palmetto leaves and parts of a sabal palm leaf base. If you missed the discussion in yesterday’s comments section about regularity and irregularity, order and disorder, and what these qualities have to do with our perception of beauty, I urge you to go back to that post and see what Robert Sims and nannus have to say. 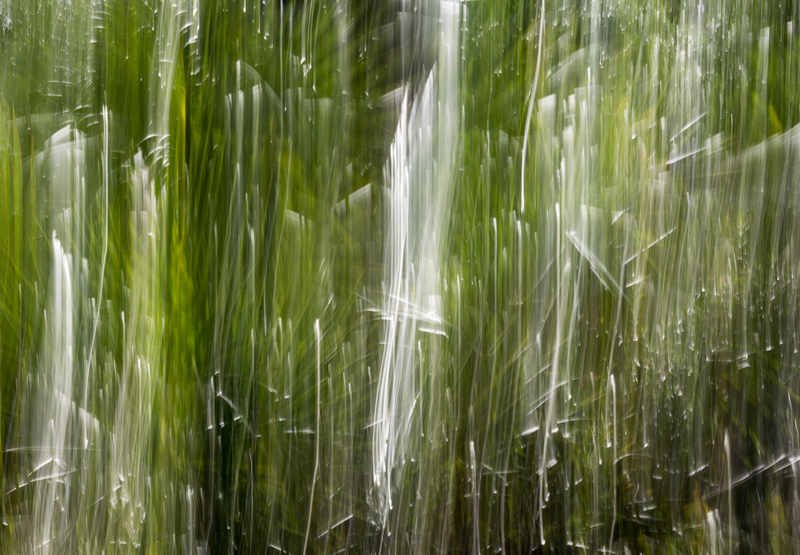 Meanwhile, here are some more spent palm fronds on the forest floor. 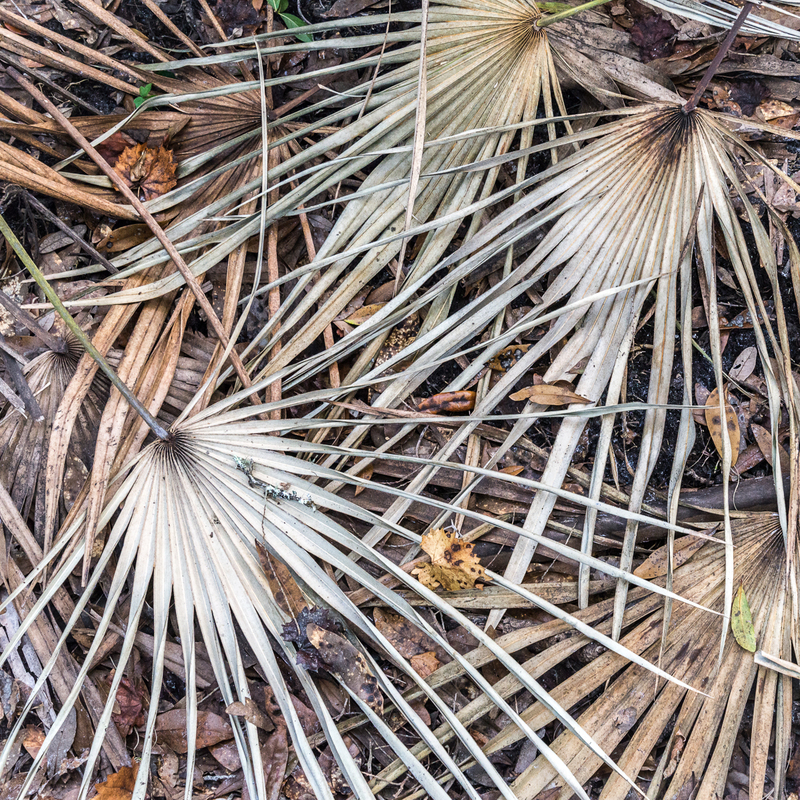 Every time I go to the woods in Florida I see palm leaves with a look I haven’t seen previously—like the lower one here, found on the jungle floor. 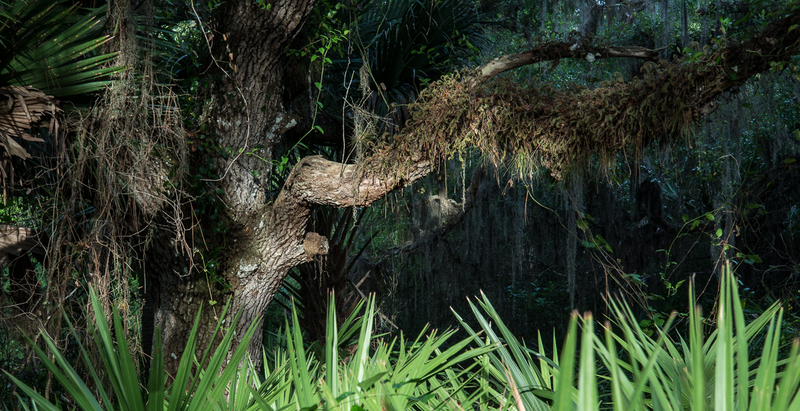 Husband David and I drove out to the Myakka River State Park yesterday morning. We arrived about 8:30, in time to catch some early-morning light. 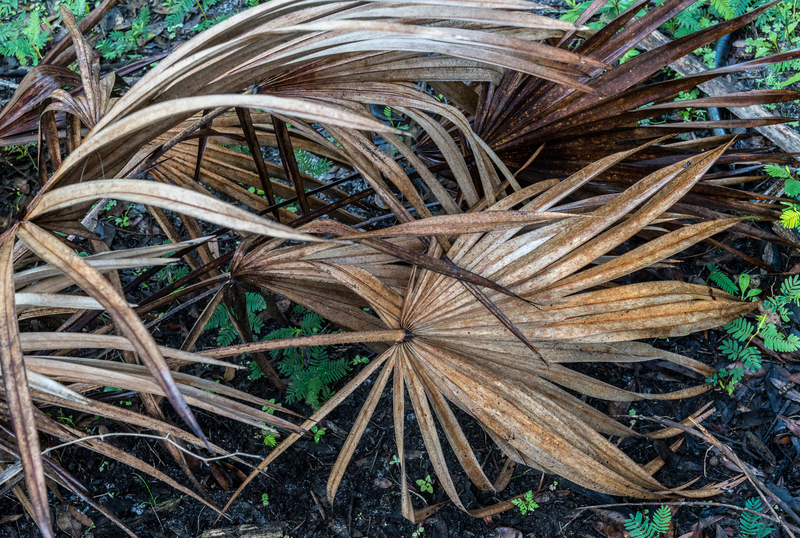 Palm fronds delight me whatever their stage: shiny new, starting to senesce, or dried-out dead.